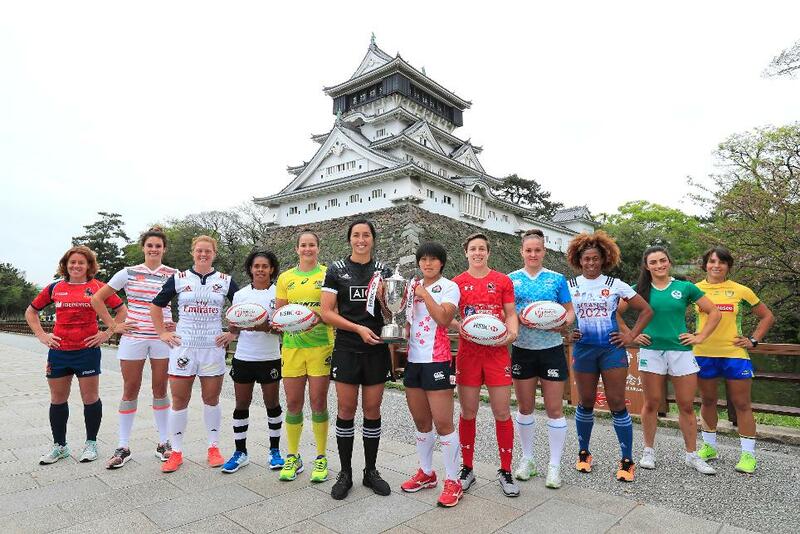 All 12 squads have been announced for the inaugural HSBC Kitakyushu Sevens, round four of the HSBC World Rugby Women’s Sevens Series 2016-17. The top headlines from last week surround the fourth round of the HSBC Women’s Rugby Servens Series in Japan, Kitayushu 7s, more focus on mental health of athletes and the Swiss Rugby Union held their first ever National camp. We’ve had several articles on mental health lately, but what about physical health? In an opinion piece from Rugby World, Alan Dymock explores playing through the pain and the world of painkillers. The 2017 USA Rugby Emirates Airline Club 7s National Championships will be played at the National Sports Center in Blaine, Minnesota on August 12 and 13. 32 teams will face off including men and women. The event will be broadcast live on The Rugby Channel. More information about the 2017 USA Rugby Emirates Airline Club 7s National Championships is available at USAClub7s.com. The Swiss Rugby Union (FSR) held its first ever Union-Sponsored and coached Women’s Rugby Development camp in March. Part of their women’s development project, the camp was phase 2. The first phase of this project was the introduction of development tournaments starting in September 2016, where new women’s teams as well as established clubs’ second sides and young players could gain valuable playing experience outside the established, competitive Women’s National League (NLF). “This represents an important next step in the development of women’s rugby in Switzerland, where rugby as a whole and women’s rugby in particularly is a small fringe sport, with great potential for growth”, comments Christa Herrmann, Swiss Rugby Union Women’s Development Manager and newly elected member of the Rugby Europe Women’s Commission. The Women’s Rugby World Cup Trophy Tour continued this week, moving from Leinster to Connacht and back again. Follow the trophy tour on Twitter and Instagram using #WRWC2017, and visit www.rwcwomens.com for updates and destinations on the trophy tour map. Lots of players are speaking up about mental health and National Rugby League referees Matt Cecchin and Ben Cummins have been named as two new NRL’s State of Mind ambassadors. These ambassadors will support the game’s extensive mental health program. @BlackFerns caught up with @tylanathanwong to see how training was going ahead Kitakyushu Sevens. Alev Kelter of USA played ice hockey and football before finding her true calling in rugby sevens. Brazil star Beatriz Futuro Muhlbauer – commonly known as Baby has another great column about culture on the World Rugby site. The Brazilian team arrived a week before the tournament to work on recovery and preparation. They also were able to embrace the great hospitality of the Japanese, their food and culture. FACT: Canada  is the only nation to have won both a Men’s & Women’s @WorldRugby7s series stop in 2016-17. Ireland gives us a sneak peek into their training ahead of Kitakyushu 7s. The New Zealand Black Ferns stopped over at Takesure Elementary School in Japan ahead of Kitakyushu 7s. The Black Ferns also named their squad for the tournament, with only three changes for the Champions of Las Vegas. Rebekah Cordero-Tufuga was called into the starting line-up, while 17-year-old Lyric Faleafaga joins the squad for the first time as a travelling reserve with Tenika Willison. Canada’s U18s won Tropical 7s in Florida, going 6-0 on the weekend. USA Rugby also released their squad for Kitakyushu 7s in Japan, including two uncapped athletes. Jordan Gray and Megan Sanders will debut for the Eagles. Sophie Spence of Ireland suffered a concussion last year and chronicles her recovery. Spence was able to participate in the most recent Six Nations and is looking forward to the 2017 Women’s Rugby World Cup in her home country. England gives us a preview from Abbie Brown on how her side is preparing for Kitayushu 7s. # seems women rugby getting popular and grab huge attention.